The Nordson DAGE 4800 is at the forefront of wafer testing technology catering for the testing of wafers from 200mm up to 450mm. Whilst heralding progression in bond testing technology it’s heritage is built on the success of the Nordson DAGE 4300. Utilizing proven technology of the Nordson DAGE 4000Plus, the most advanced bondtester on the market, the 4800 is a truly unique bondtester. Nordson DAGE Paragon™ test software provides the ultimate flexibility for wafer map creation allowing for quick and precise set-up of test patterns; with virtual images for each test pattern enabling easy editing. You can either scan the wafer using the unique on-board intelligent automatic wafer mapping software, import wafer maps using industry standard formats or use the simple mouse point and click wizard to program any test point anywhere on the wafer. Integration with a wafer handler transforms the 4800 into a fully automated system ensuring reliable and repeatable operation. This integration provides several benefits including the automated loading of warped, thin, or bowed thick wafers, with clean contact at the wafer. 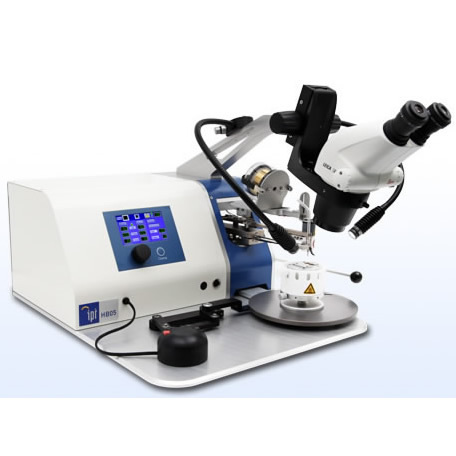 The 4800 bondtester’s advanced optics combined with the microscope’s dual vibration reduction mount and adjustable eye-line, provides unparalleled image stability. The unique industry leading multi-function cartridges expand the versatility of the 4800 bondtester. A range of multi-function cartridges are available, please consult the factory for transducer combinations. ‘Park Position’ protects the transducers inside the cartridge. A range of powerful camera and optical systems optimize load tool alignment, auto programming and post-test analysis.